Sorry about going a little MIA at the end of last week. I subconsciously decided to take a little two-day long blog-break and, it was a good time for me to do that, too. Last Friday, Piper had an ultrasound of her kidneys. Hopefully we will know sometime this week how everything looked and what our next steps will be in trying to figure out why she continually shows blood in her urine during their lab tests. On Friday night, I started coming down with bronchitis-like symptoms. 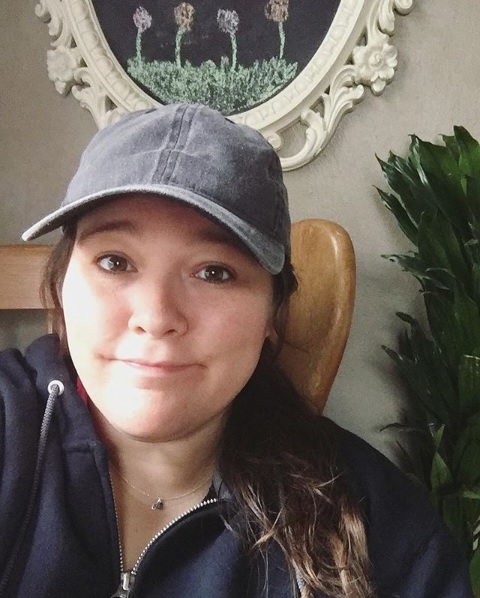 I've had acute bronchitis a few times, once even while I was pregnant with Piper and so, I knew what I was in for the moment I started feeling my symptoms get worse. Oddly enough, on Saturday I came down with stomach-flu-like symptoms. I still don't know what I actually had and I am still not back to 100% but, I know I will be soon. This is just a time to take things slow and let my body recover. 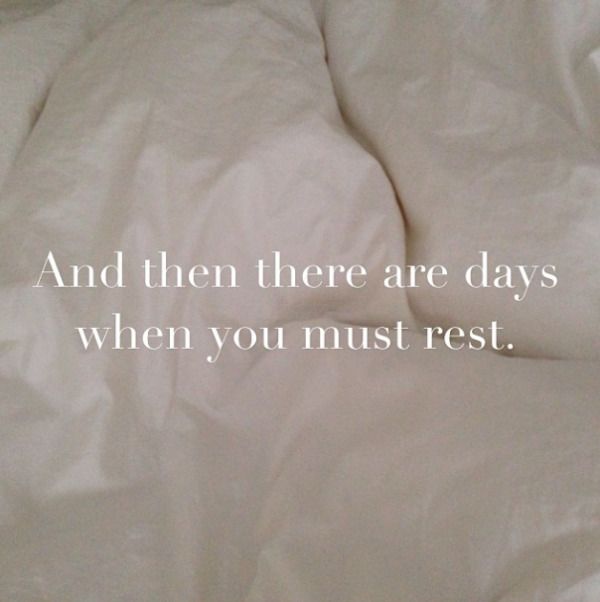 Pushing myself too hard while I had a cold last week is what I feel like got me in this mess and so, I'm taking note from my body and slowing down until I'm fully recovered. My favorite part of being sick (haha - yep, I'm trying to find a silver lining) is that first morning when you wake up feeling mostly like yourself again after days and days of being off. It's a feeling of being reborn and, I'm already planning to take full advantage of this rebirth, whenever it gets here. If I were honest, I feel like April was the first month of this year when making healthier decisions started to come more naturally to me. I was in a decent mind-frame and, I just felt ready to lose weight. Well, despite doing most of what I needed to in order to show progress on the scale in April -- the scale did not budge much. However, I did have a few non-scale victories! I got really wrapped up in what the scale was saying in April, despite all of my efforts and so, I'm tossing around the idea of giving up the scale in May. It's a hard decision because, the scale can be a quick validation of hard work paying off but, like in April, it can also pose a threat to morale. Readers, what do you think? Should I toss out the scale for a month or still use it to keep myself accountable? This morning, I had every intention of going to the gym. Okay, that might be a little bit of a fib. I actually had some intentions to just stay at home and watch the rain fall from inside my cozy home but, I pushed through and went through the motions of getting ready to go to the gym. I took a shower, I got myself ready, I got Piper dressed, I packed us some snacks and loaded everything up in the car, in the pouring rain. Then, we were off! I drove a little while until everything went down hill fast. Just as I turned onto the highway to head to the gym, I heard Piper start to get sick all over herself in the backseat. I was still on the on-ramp to the highway so, I quickly pulled over on to the side of the road and started grabbing napkins from the dash-compartment. It was still raining and, there I was on the side of the highway trying to clean up Piper as best as I could in the moment. What a mess! Needless to say, we didn't make it to the gym this morning. I turned around and went home straight away. When we got home, I put Piper in the bath and started cleaning up her clothes. I also soaked the car seat in some cleaner and plan to get it all taken out and more thoroughly cleaned when my husband is home to help me get the seat out of the car! Now, as I had intentions of doing earlier this morning, we'll be spending the rest of the day at home, watching the rain from inside. My poor Piper has been sick on and off for quite a while now. We have an ultrasound of her kidneys coming up on Friday due to some other issues that you may have read about here in the last week or so. I just can't wait for the warmer weather to get here for good, to clear up whatever sickness we currently have and to finally get some answers on why Piper has had blood in her urine these past couple of weeks. Despite it all -- it is well with my soul. I have so much to be thankful for, Piper really is healthy most of the time and, I am not going to dwell on the hard stuff too long. Yesterday was hands down, amazing! With temps in the 70's, yesterday was a taste of what summer days are going to be like with a three-year-old and let me just say, I don't want summer to ever end and, it hasn't even begun yet. Don't worry, this morning we are back down to 50 degrees. The warm weather didn't last, as it usually doesn't this time of year but, the taste of summer was all I needed to get all sorts of excited! Yesterday morning, temperatures were in the 60's and the sun was shining. I started the morning out by hanging some of our washed clothes on the line outside. Hanging clothes on the line is one of my favorite things to do when the weather gets warmer! Every year I start out thinking that I love the tradition of doing it, until I smell the results later on when I take the clothes off of the line. Hanging clothes on the line just smells like summer-time. Around 10:30 a.m., Piper and I met my friend, Mindy, down at the park with her little newborn, Leo. Mindy's sister, mom and grandma were at the park, too. Mindy's sister has a little boy, Everett, who is 2 years old and Piper has a lot of fun playing with him! The two kiddos were cracking jokes as they were swinging next to each other for (not an exaggeration) 15 minutes. It was super cute and funny! They would take turns playing at the park and then wanting to go down to the creek to throw rocks in the water. It was a really good morning that lasted until about 1:30 p.m.! After a long morning at the park, we came back home to eat some lunch outside, under the umbrella on our stone patio. Oh, how I've missed dining out on the stone patio! Piper really missed it, too. She stayed under the umbrella for a bit longer while I added some more clothes to the line. Around 2:30, we went inside to take a break from the sun. Piper watched a show while I washed some dishes with the window open, breathing in some more fresh air. Nick got home around 3:30 and we all jumped in the car to get some propane for the grill. When we got back home, I added a few more blankets to the line and started taking down the dry clothes. I got chicken ready for the grill, put some fries in the air-fryer and heated up some mixed vegetables for dinner. Around 5:00, we were all eating dinner on the stone patio. After dinner, we started to prune the apple tree. Our poor apple tree has been so neglected. We haven't pruned the apple tree since before Piper was born so the leaders were super tall! We got the apple tree about halfway pruned before it was time to go inside and give Piper a bath. We ended the day with that feeling of a day spent in the sun and we all slept good thanks to all of the fresh air we got. We've had a taste of summertime and now I'm ready for the real deal! Hurry up, summer! The sun is shining, the weather is warming up and so, we are getting ready for a day outside! Never mind our sore throats and stuffy noses. It's finally feeling like Spring around here and we're going to go out and enjoy it! On Friday, I made a short video featuring everything I ate that day and, a little chat about gaining weight last week despite every effort otherwise. This weekend, I started coming down with a cold and so, I sought some comfort in food. I overate a bit yesterday but, today I am getting right back on track! Make it a good day, everyone! I slept in until 7:30 and Piper slept in until 8:30 a.m. on Monday morning! Sleeping in was a great way to start the day. When Piper woke up, I got us dressed and fed her a quick breakfast of strawberries with a half of a pb sandwich and I made myself a smoothie for the road. We made it to the YMCA around 10:30. Piper played with the kids in child watch while I worked out for 20 minutes and read a new book for the other half hour. We got home around noon. I warmed up some leftover chili for lunch and Piper ate a salad with cheese, tomatoes and avocados (some days she's the healthiest eater in this house -- I know how blessed we are to have a good eater at her age). After I put Piper in her room for some quiet time, I took a shower and then got some cleaning done. I got hungry for a snack and decided to try some of the sushi I found at Aldi's this past weekend. It was much better than I expected it would be! If I see it there next week, I am going to buy it again! For dinner, I made baked chicken breast with a side of mixed vegetables and air-fried french fries. Baked chicken has been my current go-to meal. I use a brew-pub rub that I found at Aldi and it makes the chicken turn out so moist and delicious! On Tuesday morning, we woke up much earlier than Monday and, we woke up to snow on the ground. Considering it's nearly the end of April, I wasn't too impressed. I took this as a sign that we should stay inside and get all cozy, watching movies. Piper took a good nap for me, which was great because I used that time to make a few phone calls and cross a few things off of my to-do list. When Nick got home, I headed out to meet a new friend for coffee. We chatted for about an hour at Starbucks. It was so nice to get out and have some girl chat over coffee. That's something I need to do more often! After coffee, I went shopping and found a few new tops! I was happy to see that all of the tops I bought were 2x instead of 3x so, that was a win! On Wednesday morning, Piper and I went to the YMCA so I could work out and she could play with the kids in child watch. In the afternoon, I went to my first-ever dermatologist appointment. This is an appointment I've been putting off for quite a while now but, I'm glad I did it. When I got home, I made some chili to take over to a friend of our family who just lost their son earlier this week. Without going into much detail, he had come home to surprise his family for a long weekend and started feeling sick while he was at home. His passing was very unexpected and, while it is so sad and we are all still grieving this loss, I can't help but see God's hand in his passing -- that he passed while at home with his family instead of far away and alone. I have faith that we will see him again in heaven. On Thursday morning, I took Piper to another doctor's appointment. She gave a urine sample and they found more traces of blood in her urine, for the second week in a row and so, she is going to have to get an ultrasound of her kidneys late next week. It's crazy how this kind of stress can wear you down physically. I'm trying to stay positive but, compile the grief of our friend's losing their son and, this uncertainty with Piper's health -- I really started feeling the affects of the stress on my body Thursday afternoon and evening. It was a very low-activity kind of day. 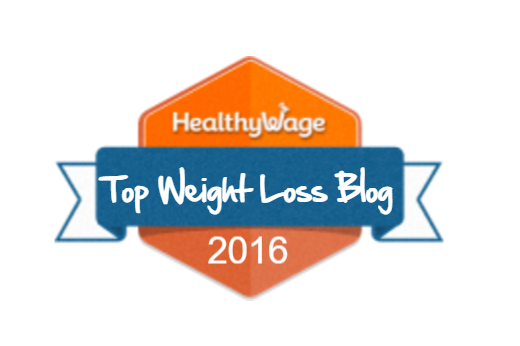 Today is my weigh-in day and I am a little frustrated to report that I have a gain on the scale. I weighed in at 239.3 lbs. I can firmly say that the scale is a liar when it comes to measuring my progress this week. I have literally been tracking everything I ate since last Friday -- 7 days of tracking what I eat, working out fairly hard and just being really focused on my goals -- and I have a gain on the scale. Some weeks the scale is just a liar and, that's okay. It's okay because I've had a lot of non-scale victories this past week. I am down a pant size (24 down to 22), I am down a shirt size (3x down to 2x) and, I just feel smaller and more mobile. That's what this is all about after all - not a number on the scale but, a feeling of being healthier. This week, I feel it! Some people have asked me how I manage to eat things like Chinese Take-Out and still lose weight. For me, it's all about "give and take" or balance. If I am going to take a bunch of calories up for dinner-time then, I'll need to eat less throughout the day to save up for that big indulgence. The last time I was planning to order Chinese for dinner, I decided I'd document and show you everything that I ate in a day to fit the take-out into my calorie range. Not everyone is the same. This works out for me because I did a lot of research and went through a lot of trial and error. 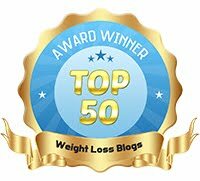 I follow the recommendations of Sparkpeople.com and stay within a set amount of calories and macros in order to see results with my weight-loss. At 238 lbs and with my current goals, my nutritional ranges come out to 1,570 - 1,920 calories | 177 - 312 carbs | 35 - 75 fat | 60 - 168 protein each day. Please don't follow those nutritional ranges for yourself without inputting all of your own data into the website: www.sparkpeople.com. It's free and I'm not sponsored by them, they are just a website I've had success with and used personally for years. Now, obviously I am not perfect or else I'd be at my goal weight by now. I go over my calories and macros more often than I'd like to admit but, whenever I'm practicing some healthy self-control, I can literally have my cake and eat it too -- as long as it's in my calories for the day. As you know, I made it a goal for the month of April to drink half of my body weight in ounces of water at least 5 days a week. Well, that equates to just under a gallon of water a day for me! I have hard a hard time reaching this goal but, drinking Southern Breeze Sweet Tea helps! You might be thinking -- wait a second, how does tea count toward your water intake? Well, not all tea can. 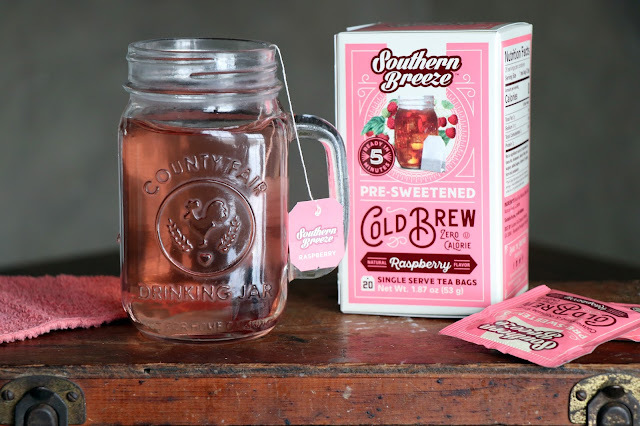 I can count Southern Breeze Sweet Tea toward some of my water intake because it's a pre-sweetened zero-calorie cold brew tea! Not only has Southern Breeze Sweet Tea been helping me with my water intake but, having a cold glass of sweet tea at night has been helping me with my late-night sugar cravings, too. I mean, who doesn't like to end the night on a sweet note? Thanks to Southern Breeze, I can do so -- guilt free! I have been killing my water goals lately and, I have been staying track with the rest of my goals, too. I am super pumped to check the scale come Friday! I am already feeling a difference in my clothes so, the scale is due to follow-up with some proof of progress, soon! This past weekend, I let myself be really vulnerable for the sake of overcoming fear. I created the video below where I shared some of my worst thoughts as my own biggest critic and countered those thoughts with some positivity. As I mentioned in the video, being vulnerable is important to me because it takes away the power that fear has over us and, fear holds us back from much more than failure ever will. I mean, what is failure anyway aside from a learning experience in which to grow from? Today I challenge you to identify some of your own biggest critiques of yourself and to instead, become your own biggest cheerleader in those areas! Happy Monday! Today, I want to talk about perseverance. Perseverance is defined as steadfastness in doing something despite difficulty or delay in achieving success. It's pretty much the key to any weight-loss journey. On Friday, after another weekly weigh-in where I felt as if I am going nowhere fast, I recorded this video and there was one word that kept going through my mind afterward: perseverance. I have been stuck for a while but, I will persevere. This weekend, I did really well with staying on track with my goals! I went to bed at a decent time, I stayed hydrated and, I stayed within my calories. This week, I am hoping to get to the gym a couple times and, continue my trend of staying on track with everything else! One way I plan to stay on track is by having dinner planned out for the week. If I have a meal plan, it's one less excuse to go off-track! I've got a plan, now, it's time to work! Yesterday, I took Piper to the library for a special story time. There were some representatives from our local zoo at the library with a few of their furry friends! Piper had so much fun petting the animals and, dancing around at the end. It was so cute to watch! After the fun at the library, we went to Piper's pediatrician's office. I have been suspecting that Piper has a bladder infection or a UTI for a few days now and so, we went to get that checked out. It turns out, she had some blood in her urine and so, the culture was sent out and we should know more soon. After Piper's appointment, we stopped at my chiropractor's office so I could get my back adjusted. I'm friends with my chiropractor and so, I started telling her about the blood they found in Piper's urine. She asked if she could look at Piper's back and when she did, she found her to be very out of alignment. She lifted Piper's feet and I could see they were off; one foot was like 2 inches shorter than the other. My chiropractor made a couple gentle adjustments, lifted Piper's feet again and, they were completely even! She said her L3 was out of alignment which correlates to the bladder. I love my chiropractor! Regardless of what Piper's culture results are, I have a lot of faith that the adjustment will help! Later on that night, we went over to our pastor's house to have dinner with their family. Angi made a keto cheeseburger calzone that was out-of-this-world good and we brought some strawberry shortcake for dessert. It was so nice chatting with them over dinner. Piper loves to play with their kids, too. It was a good end to a wild Wednesday. Time has a way of sneaking up on me lately. It's already the middle of the first week of April and, I haven't even set out my goals for the month. Well, that's changing right now. Last month was a mixture of ups and downs. I would be on track, then off, then back on track, then off again. I need to remember, I'm seeking balance in this weight-loss journey. Balance doesn't mean perfection. Balance means balance. A medium of ups and downs. There will be on track days and there will be off track days. I must persist through it all. In March, I was trying to focus more on my habits than the weight on the scale. However, I did still keep track of my weight-loss progress each week. In March, I would weigh in on Thursday each week. 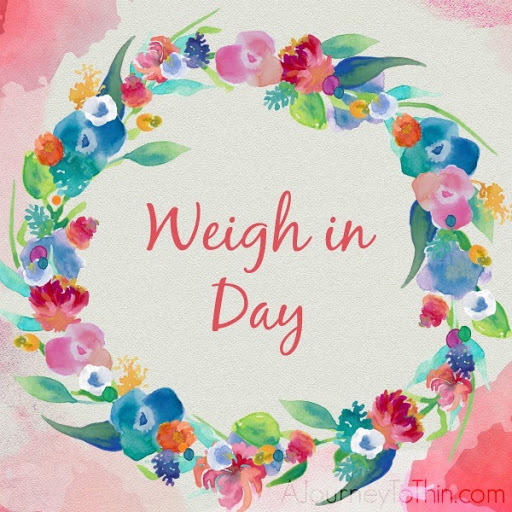 In April, I am going to do my weekly weigh-in's on Friday. This month, I am going to focus on the same things I try to focus on every month. Sleep, nutrition, activity and water. My goal is to be in bed by 9:30 p.m. each work-night. I don't have to go to sleep right away but, I need to be in bed. My nutrition goal is to track my calorie intake 5 days each week. My activity goal is to hit 10,000 steps at least 3 times a week or visit the gym 3 times a week. My water goal is to reach 120 oz. of water 5 times a week. I hope to keep myself even more accountable with some weekly check-in's this month. Setting goals is only a part of the battle. Now, it's time to work! How was your Easter weekend? Ours was pretty great. My husband was off from work on Good Friday and, I was so glad! Not everyone considers Good Friday to be a holiday when, it really is the most important one of all. When I was younger, somebody told me that Easter was their favorite holiday and, I was surprised. It's not one that you hear very often, or at least I didn't hear it much. Now that I'm older and practicing my faith, it's a no-brainer. Of course Easter is my favorite holiday; without it, I would be plagued by my sin, void of mercy from our Lord. Jesus died so I could be saved. Easter is my favorite holiday, indeed. If you were around late last week then, you know one of my best friends just gave birth to her first baby. On Friday, I finally met him. Sweet little Leo. I'm not going to share any pictures because, they haven't publicly shared pictures themselves yet, but believe me, he is 8 lbs of perfection! On Friday, I made some Chicken Gnocchi soup for my friends and visited with their sweet son. Spending some time with my friends who have just recently become parents was so incredibly special to me. Those first few days after having a baby include some of the most raw moments in life (at least in the amount of life I've had the privilege of experiencing so far) and I feel so blessed to have been apart of some of those moments with my dear friends. On Friday evening, my family went to the Good Friday service at church. Piper got to play with kids in class while Nick and I sat in service. The service was very moving and I connected with it deeply. The service focused on how Jesus felt alone in those final hours leading up to his crucifixion. He felt alone in a way we never have to because of his sacrifice. It sounds so incredibly small in comparison but, in being a stay at home mom, I've experienced so many moments of isolation and moments of feeling alone. Sometimes I feel like nobody else could understand but, I was reminded at service on Friday night that Jesus also felt alone. Jesus understands it all and more. Jesus has been alone in ways I will never have to be because of his sacrifice. On Saturday, I got a little time away from home, all by myself. I went to a Starbucks to write most of this post you're reading today and, the one you read yesterday, too. While I was out on my own, I made a meal plan and went grocery shopping. I've been cooped up at home a lot these past couple weeks, still waiting for the weather to break and so, I've been making an effort to take a few hours outside of the house whenever I get the chance. Nick is so good about giving me the time I need but, it's usually me who has the trouble getting out to take it. Any other moms out there that can relate? I feel guilty for needing time alone; to write, to process, to plan, to better care for myself and my family. My being hesitant to take time for myself is an issue because, we all do so much better when I take the time to practice "self-care", if you will. I think practicing self-care as a parent is a topic that could be covered in great length in a separate post, so I'll move on. On Sunday, Piper was so excited when she woke up and found that the Easter bunny had left some goodies in her baskets. My mom and little brother came over early that morning with another basket for Piper, too. She got a lot of gorilla and monkey themed gifts this year because, she's kinda obsessed. It's adorable! That morning, my husband left home early to go to sound check at church. Nick played the electric guitar during both Easter services on Sunday morning. It was such a good service -- the music was great, the message was great. I love our church! After service, I made macaroni and cheese for a get-together at my moms and to share with our friends who are taking care of their sweet newborn. That afternoon, we went to the get-together and then, my mom watched Piper so Nick and I could check in on our friends again. A lot of our traditional Easter celebrating actually took place before Easter this year! Last weekend, we hosted a family get-together at our house for dinner and to color Easter eggs. Piper liked decorating the eggs but, not as much as she liked hoarding them after they were decorated. She like putting all of the eggs back in the carton, just to admire the way they looked all decorated together. She's so cute. Easter weekend was great for us and, I hope it was a great one for you, too! Hey guys! How was your weekend? Ours was pretty great. I'll share more on that tomorrow with a full-weekend recap! Today, I wanted to talk about a new product I've been loving lately! Pintful Peanut Butter. 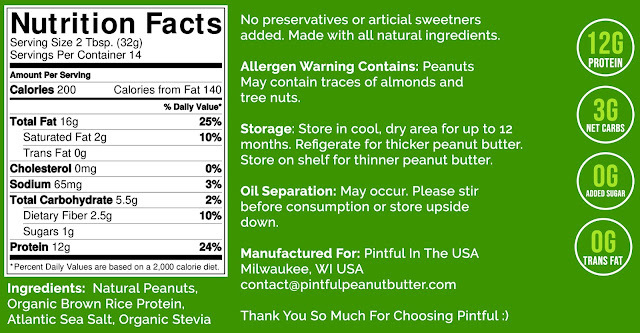 Pintful is the first and only natural, vegan, high-protein peanut butter claiming to be the healthiest peanut butter and it's packing in 50% more protein than standard peanut butter! I received a sample in the mail last week and, I'm pretty much hooked. 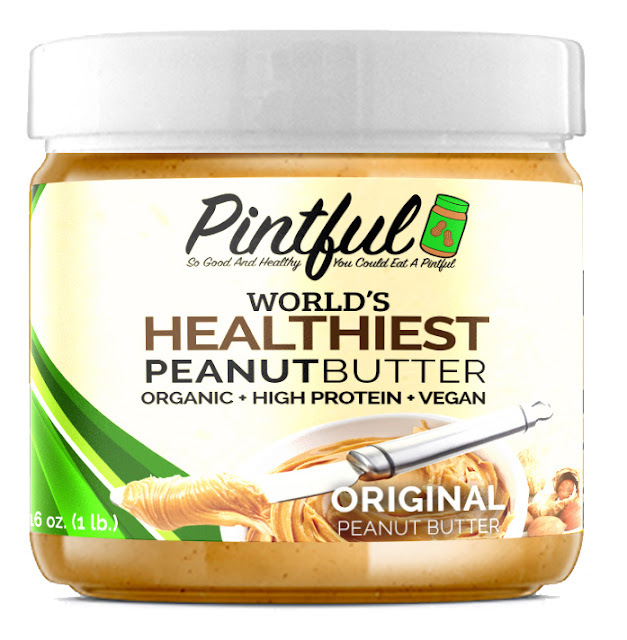 I love that Pintful was created to fuel a healthier lifestyle -- allowing me to enjoy the peanut butter I know and love without having to feel guilty about sacrificing my health or diet to do so. I've been having Pintful Peanut Butter with my snack each day and, it's been giving me life. Seriously though, it's like a tablespoon of energy! Here's my new go-to snack, made with Pintful Peanut Butter. 2 tbsp. Pintful Peanut Butter + 3 dates. Slice dates lengthwise, removing pit. Stuff with peanut butter and enjoy! Between the dates and the healthiest peanut butter in the world, this is a snack that not only satisfies my sweet tooth but, it also gives a little pep talk to my soul. I always get a burst of energy after eating this snack. It's the kind of energy that clears your head because you just fed your body something healthy and nutritious. Pintful, a natural, vegan, high-protein peanut butter, is seeking to raise $10,000 to set straight the current unhealthy peanut butter market. Be One of the First Tasters of the World's Healthiest Peanut Butter Starting at Only $6. I know I'll be getting myself some more Pintful, soon! Disclaimer: I received product in return for an honest review. All opinions here are my own.